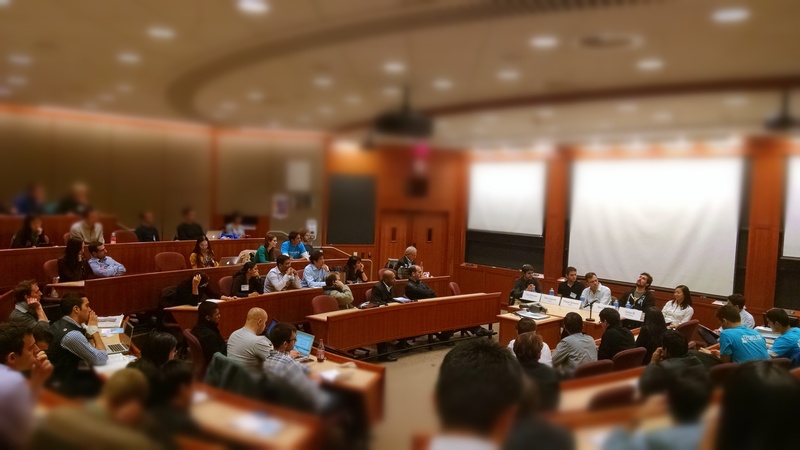 This past weekend was the 20th Cyberposium, an annual conference bringing together CEOs, CTOs, founders, and entrepreneurs to drive forward the discussion on the intersection of technology and media with business and society. Few will deny that things move quickly in the world of startups and technology, and this year is no different. From Bitcoins to consumer hardware to the changing nature of venture capital, here's a short synopsis of some of the things discussed this weekend. Social Media is Lighting the Way for New Opportunities: Rent the Runway, a Netflix-based model for high end designer dresses, has in part become successful because of the rise in social media. Jennifer Fleiss, co-founder of RTR, recalled her younger sister's experience in choosing a dress for a wedding -- she had a wardrobe full of dresses, but nothing to wear because she's already been seen in all of them, and the proof was on Facebook! Similarly, Jeremey Allaire, Founder and CEO of Circle, sees a premonition for the future of Bitcoin in the recent history of social media. Just as Facebook has leveled the communications playing field in many countries, Bitcoin will "reduce the cost of transferring value to zero" and make currency control an irrelevant form of state oppression. MBA Degrees Aren't Yet Useless: In reference to Bitcoin-related startups, Adam Ludin, Founder and CEO of Chain, says "the first movers were hobbyists" and are not necessarily equipped to turn their startups into sustainable businesses and are in dire need of leadership. Ludin notes that with Bitcoin, there are plenty of opportunities to dive in given Bitcoin's interdisciplinary nature, spanning across technology, finance, economics, consumer marketing, enterprise thinking, and startup thinking. In the same vein, Sam Altman, President of Y Combinator, notes that MBAs have the opportunity to add most value when startups are hitting the "upward sloping part of a hyper growth curve" (i.e., they've already achieved product-market fit). It's here where most startups struggle and can benefit from the business development, finance, marketing, and organizational building skills that MBAs bring. Stay Focus and Be Passionate: Matt Wallach, Co-Founder and President of Veeva Systems, highlights some of the benefits of staying focused from the industry cloud perspective - by focusing on an industry vertical, Veeva has been able to create valuable products its enterprise customers are willing to pay top dollars for. Wallach says, the "things you don't do can be just as important as the things you do." Similarly, Altman notes that one of the biggest predictor of startup failure is when startups don't focus on product-market fit, creating products that don't appeal to its customers. Likewise, passion is equally critical. In short, if your response to the question "Do you plan on working on this full time?" is "I will work on this full time if [XYZ] funds me," then don't be surprised if failure is on the horizon.